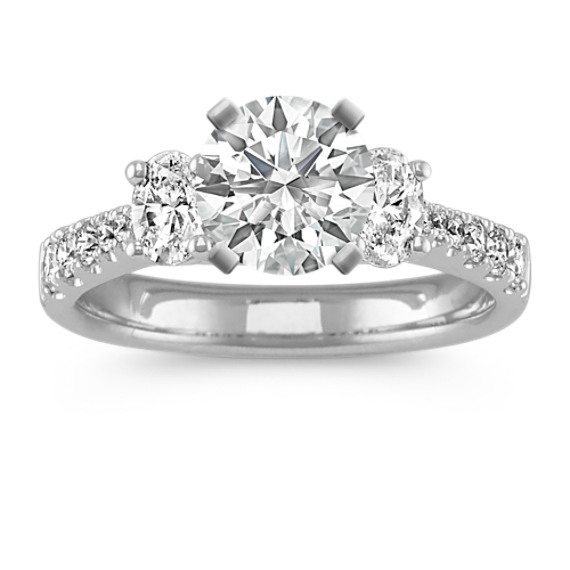 Oval and Round Diamond Three-Stone Engagement Ring | Shane Co.
Two oval diamonds (approx. .40 carat TW) beautifully balance on either side of the center setting of this stunning three-stone engagement ring crafted of quality 14 karat white gold. The dazzling design is accented by 12 brilliant round pavé-set diamonds (approx. .21 carat TW). This 3mm ring has a total diamond weight of approximately .61 carat and awaits the center diamond of your choice.